At the top of these private apartments in a historical building in Koreatown, we sat down to share dinner with an intimate crew in a small room, after cocktail (or water) hour in another quaint room nearby. The sunset glow peeping in from the old windows high above the city made me feel like I was in Paris for a few moments with the candles glowing all around us and the top of LA’s buildings poking through the window scene. This chic crowd consisted of some of the most interesting creatives. I was surrounded by writers, a jewelry designer, a gorgeous Persian singer, and a sultry Spanish girl Paz De La Huerta to my right who is the face of the new Vivienne Westwood campaign, along with being a singer, writer, and actor, to name a few of her talents. On my way out I discovered that Paz played Lucy Danziger in one of my favorite shows, Boardwalk Empire. The girl diagonally to me was an aspiring novelist who had already planned her book during her day job, a job that wasn’t her actual dream. This dinner symbolized for me why I love Los Angeles. So many people talking about their creative passions, how they are working on one thing for the money, and working hard on their passion in their other waking hours, or even juggling 4 or 5 hats of creativeness. With no real financial district, this town is built on dreams. 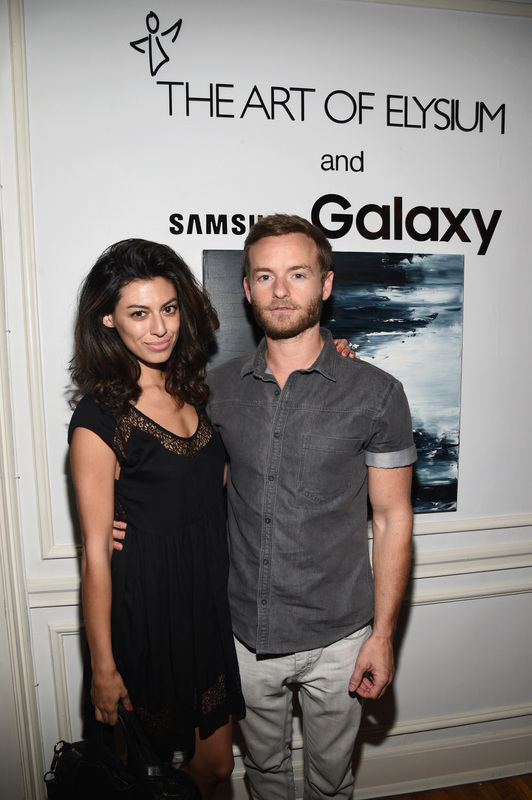 When we entered the 8th floor, we took Samsung snapshots with different artsy backdrops in the hallway because this party was sponsored by Samsung Galaxy and continuing its ongoing partnership with The Art of Elysium. We could select photos from the Art Salon’s abstract works of art to pose and intertwine with for a fun backdrop from the Samsung Galaxy S 6. Bold images of Jimmy Hendrix, Keith Richards and a retro Barbie, along with colorful paintings and sculptures, adorned the well-decorated space. 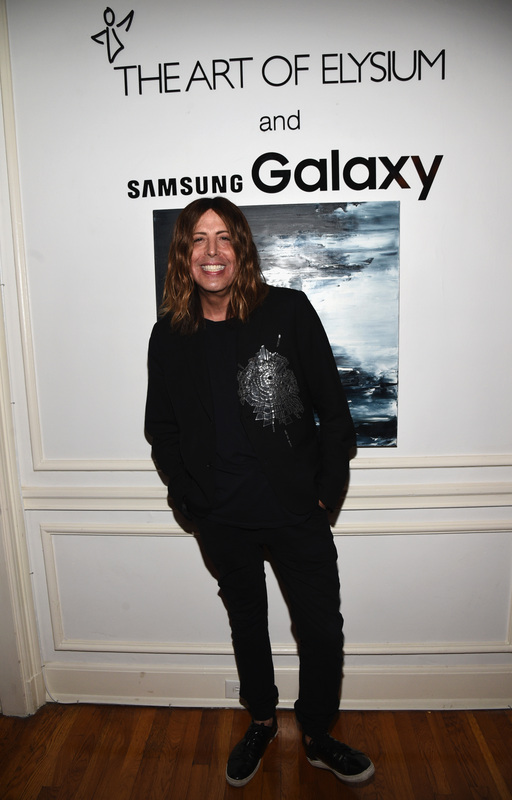 Samsung Galaxy Tab S devices were also affixed to the walls, adjacent to the Art Salon gallery pieces, providing guests with information about the artist, the art piece and the inspiration behind its creation. The Art of Elysium brought the creative forces together tonight. This organization works to make art a catalyst for social change by bringing creativity and inspiration to children, artists and various populations in need of service and support. They provide workshops in the following disciplines: fashion design, fine arts, music, theatre/media arts and arts based self-esteem. The Art of Elysium will host “An Introduction to HEAVEN 2016” at The Art of Elysium Art Salon in Los Angeles. At the dinner, the charity discussed, HEAVEN, the Art of Elysium’s annual fundraising gala, introducing their host committee members to new supporters and showcased the work the organization does. 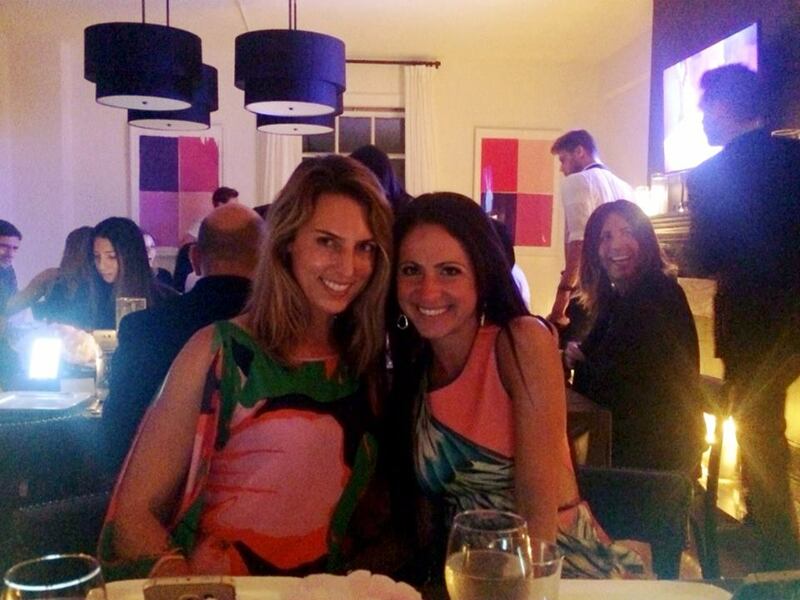 LaLaScoop Writer Melissa Curtin with Variety Style Editor Jasmin Rosemberg at The Art of Elysium and Samsung Galaxy dinner. 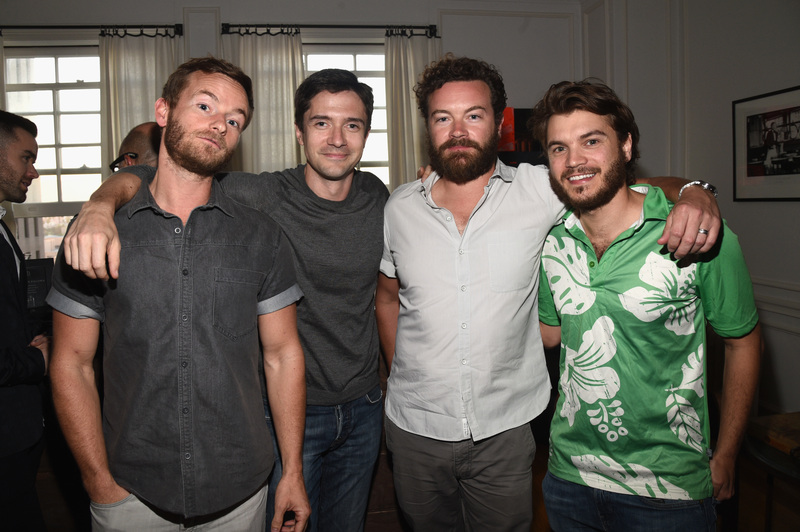 Before dinner, a mini “That 70’s Show” reunion occurred during cocktail hour at the DeLeon Tequila bar, as Danny Masterson and Topher Grace with his fiancé Ashley Hinshaw caught up along with their leading ladies, Bijou (Phillips) Masterson and Ashley Hinshaw. Emile Hirsch brought her adorable son, Valor, who stuck close to mom throughout the event. 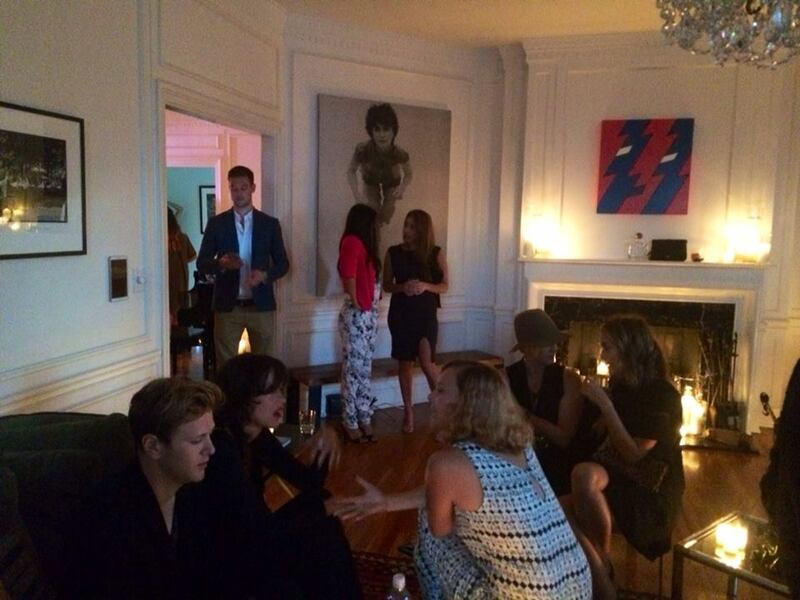 Other guests included Dawn Olivieri, Shiva Rose, Cara Santana, Chris Masterson, and Steven Cojucaro. 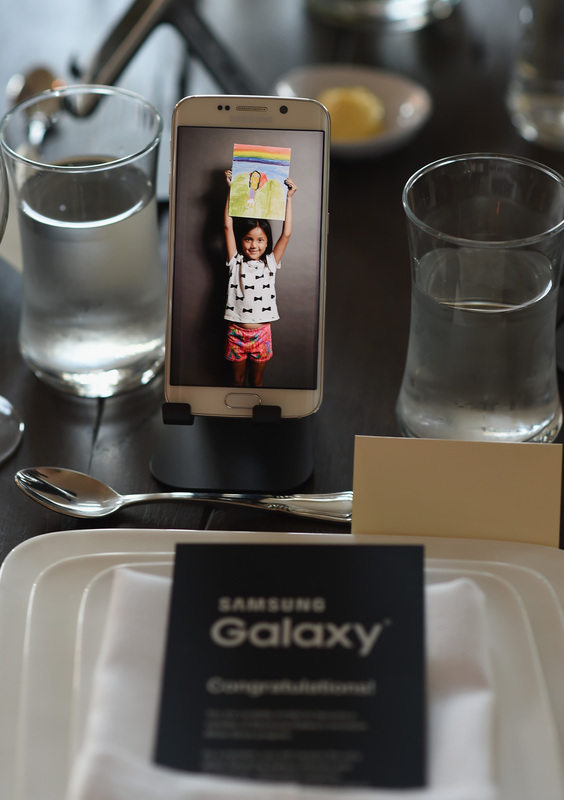 At our lavish many course dinner (I was shocked they could pull this off in such a small space with barely an oven) Samsung Galaxy S 6 devices were placed at each table setting, featuring images and descriptions of kids involved in the Art of Elysium program. Each place setting showed a child who is medically disabled, and how they created art to heal. Many painted or drew pictures of themselves and were holding their picture. As we swiped to the next screen, we could learn about that child. 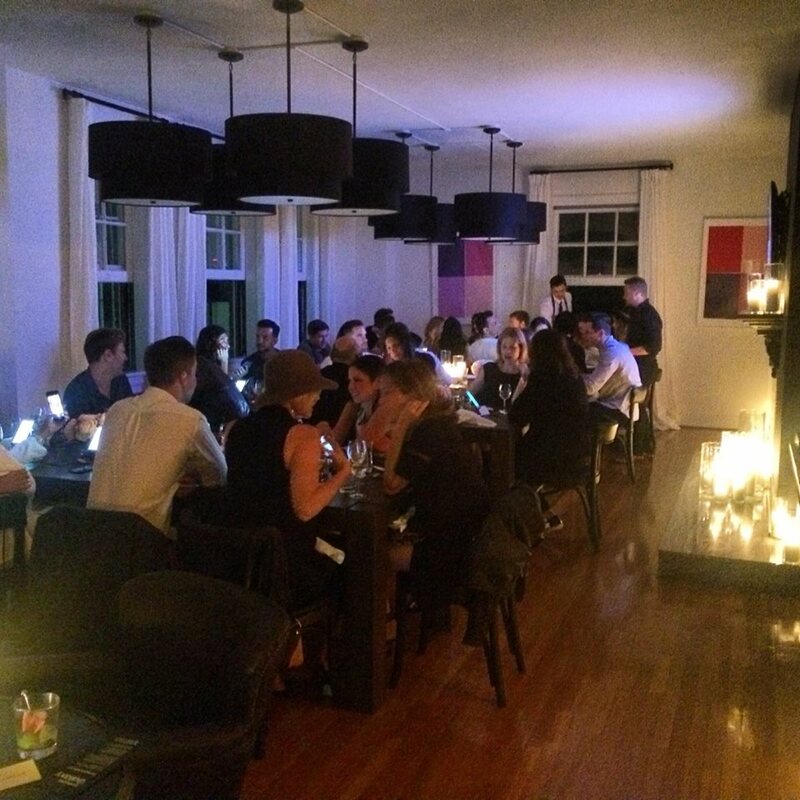 Menus were also loaded onto the table-set Galaxy S 6 devices, for interaction throughout the evening. While dining on salad, salmon, shredded chicken, and a variety of treats, we enjoyed a stand up performance by Broadway star Brian Crumb who sang Queen on a moment’s notice. He was ushered in front of us and sang amongst blaring sirens outside while one of the Wynn daughters (Wynn Las Vegas), who was sitting behind us, may have been the reason for this impromptu solo. After dinner we had fun trading dating stories with Steven Cojucaro while the smoking crew was hanging off the balcony/fire escape like they were in NYC. In valet we met Topher Grace with his fiancé Ashley Hinshaw who both seemed deliriously young and in love, along with another giddy bouncy beautiful actress who will be appearing in HBO’s new show Ballers.